So there's already a Justice League. Why a Justice League of America? agency set up as the Justice League's liaison and support. league they can control more. 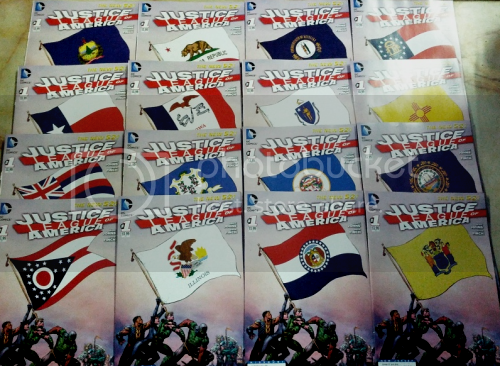 The first issue is now out and has EVERY FLAG FROM A STATE IN AMERICA! Come down and get one now before they're gone. (And no, we have to many right now and won't tell you whats you left. So get one now at 10% OFF RETAIL!